Bob Albo served Newport as its head baseball coach from 1972-83 and from 1992-96, compiling a 322-108 record. Under his leadership, Newport won six conference championships and three state titles (1976, 1978, and 1982). As a testament to the program's sustained excellence, 10 of his 16 teams finished either 4th or better in the state tournament. Beyond the dozens of all-league and college players he developed, 14 of his former players signed professional baseball contracts, four of whom reached the Major Leagues. No less than eight of his former players served as his assistant coach at Newport, several of whom became highly accomplished high school or college head coaches. His coaching peers voted him into the Washington State Baseball Coaches Hall of Fame. He's a legend on the field who has coached generations of baseball players to victory. On Saturday, March 24, 2012 retired Newport High School coach Bob Albo will throw out the first pitch at the baseball field named in his honor. Many of Coach Albo's former players will gather to help dedicate "Bob Albo Field", the first Bellevue School District property to be named after an individual. For 30 years he was a highly respected math instructor, teaching the most challenging courses offered in the curriculum. He served as an assistant football coach for a decade. During the interim between his head baseball coaching tenures, Coach Albo served as Newport's Athletics Director from 1987-92. Further, he was a summer camp innovator, training youth league players and coaches for the betterment of youth baseball in Bellevue. 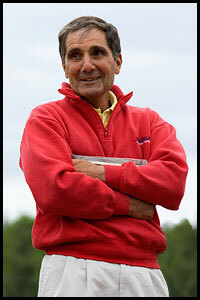 Throughout his career, Coach Albo was one of the most sought after coaching clinician in the Pacific Northwest. Scott McQuilkin, Whitworth Univ. and Penn State Univ. Brian Fischer was the Head Coach for 14 seasons 1997-2009. He skippered Newport to three State Titles (1997, 2001, 2006) and an overall record of 222-91-1 after replacing legendary coach Bob Albo in 1997 ... His commitment to the program has been instrumental in maintaining the tradition and making Newport's state of the art baseball facility what it is today. ... Fish spent 20 plus years during the Summer coaching Food Giant and Lakeside Senior Legion. ... He caught at Bellevue Community College ('85-87) and Central Washington University ('87-89). Brian and his wife Natalie reside in Phoenix, AZ along with their son Braden. 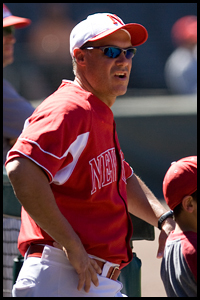 Coach Fischer is currently the Head Baseball Coach at Notre Dame Prep in Scottsdale, AZ. In 2013 Notre Dame Prep won the State Championship and Coach Fischer was named Arizona 'Big Schools' Coach of the Year. Will Kilmer - Central Wash. Univ. Paul Snyder - Bellevue CC - Oklahoma City Univ. Collin Perschon - Bellevue CC - LC State Univ. - drafted by Mets 13th RD. Taylor Grant - Univ. of Washington - drafted by Twins 43rd RD. Michael Cooney - Linfield Univ. Sam Chamaty - Central Wash. Univ. Panch Romero - Santa Clara Univ. Lee Mezistrano - Bellevue CC - North Carolina St. Univ. Matt Johnson - Georgetown Univ. Zach Franklin - Washington St. Univ. Eric Dworkis - Gonzaga Univ. - Univ. of California - drafted by Giants 45th RD. Randy Nash - Gonzaga Univ. Jeff Miller - Washington St. Univ. Greg Goetz - Bellevue CC - Reds (A) drafted 8th RD. Jason Moseby - Bellevue CC - Western Oregon Univ. - drafted by Pirates 19th RD. Trent Henderson - Skagit Valley CC - drafted by Astros 37th RD. Ben Harty - Skagit Valley CC - New Mexico St. Univ. Brian Buckham - Bellevue CC - Chico St. Univ. Blake Gibbs - - Oregon St. Univ. - Chico St. Univ. Ned Jones - Yakima Valley CC - Utah Valley St. Univ. Nate Eisenhauer - Pacific Lutheran Univ.